This last month my husband and I had our 30th wedding anniversary. Ron and I and our three kids are a tribe and we’ve always done everything together. This was the first vacation we have had alone since our honeymoon which we spent on a houseboat in Lake Powell, Utah. So it seemed only appropriate to celebrate our 30 years together on a bigger boat, which was a cruise to the Caribbean. Taking cultures is a hard thing to do on an airplane, let alone a cruise, but I will find a way when there seems to be no way because it’s important to me. I have learned a trick or two and want to pass them on to you. 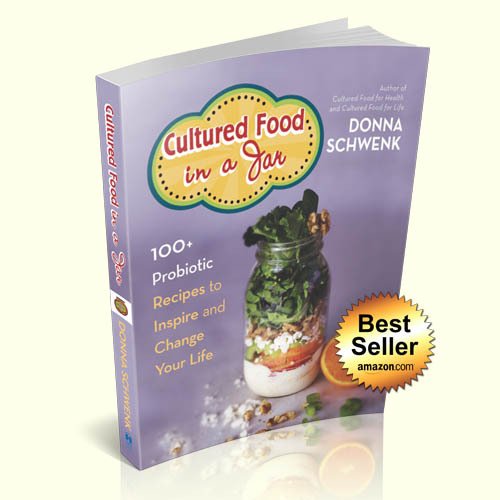 But first I want to address a few things about why it is so important to have cultured foods with you, even in small amounts, on vacation. The first thing I noticed on the cruise ship was the giant containers of hand sanitizer everywhere on the ship. They want you to use them before every meal and as often as you can. 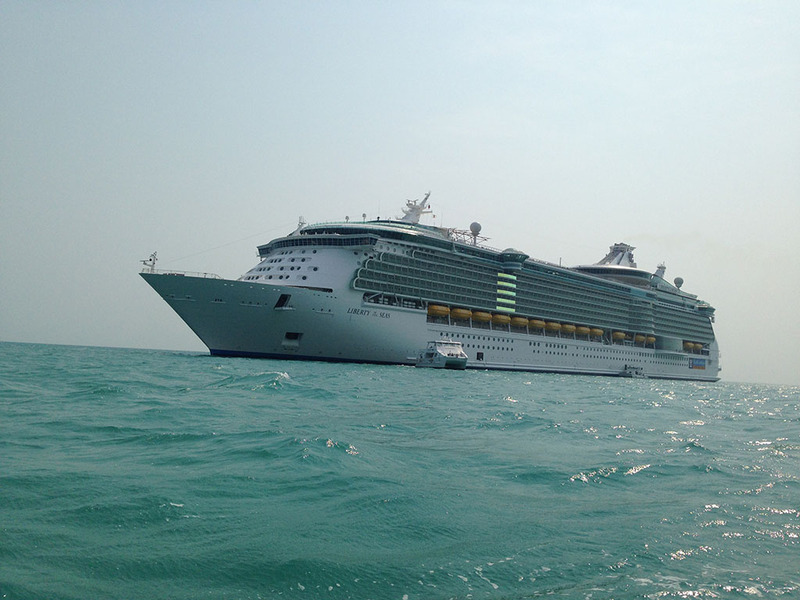 Viruses on cruise ships can be a terrible thing, and they are continuing to get worse and not better. Here’s the deal with these antibacterial soaps – the chemical Triclosan in these soaps can mess with your thyroid, is hard on your liver, and kills both good and bad bacteria, so the bad bacteria can mutate and get stronger. They are not making things better, they are making things worse. Antibiotics (which, for the record, I am not against – I think they are still necessary in certain cases, but have been over used and abused) are used to wipe out the bad bacteria which are causing an infection. But some bacteria are stronger than others, and if you don’t finish the entire regimen of antibiotics, some bacteria will survive and pass on their resistance to antibiotics. Antibacterial soaps also kill bacteria that actually are helpful to the body because they keep other troublesome bugs in check. The overuse of antibacterial soaps might actually help create drug-resistant mutant germs, because of the chemical Triclosan that creates an environment where the resistant, mutated bacteria are more likely to survive. No one can even say for sure whether these antibacterial soaps are any more effective than plain soap and water. Some are saying this antibiotic crisis is bigger than the AIDS epidemic. It is becoming a scary thing. When they asked me before every meal to please use the antibacterial soaps before I entered the dining room, I would tell them,”No way, no how” and after the 13th time they insisted, I completely lost it. I told them they would have to throw me overboard before I would ever, ever use those soaps. Those sweet porters in broken English smiled, and looked at each other and said,”Oh, you a rebel!” to which I replied, “Yes, and I will not hush about this – you can’t make me! They’re making your ship worse, not better.” Then I walked off and tried not to stomp my foot. I’m sure they thought I was a crazy person. It was hard for me that so many people are unaware of what is happening. In fear they do the only thing they can do, kill all bacteria because they don’t know the consequences or see another way. This just breaks my heart and makes me want to help people even more. I was so shocked how everybody will file in and use these soaps without even thinking about it. Being surrounded by 5,550 people on this ship who don’t know anything about cultured foods made me feel like a little fish in a big ocean and I felt powerless and disheartened. I told my husband I had my work cut out for me and oh, my word! I was so glad I brought kombucha and kefir on my trip. They’re the good guys in a ship that was killing bacteria left and right. It was that night in the internet lounge that a lady and her daughter next to me began talking to me and expressing the health struggles they were having, and one thing led to another and the next thing I knew we had several people all talking about health and cultured foods. She took my website and name and passed around her phone at the dinner table that night showing everybody my website and sharing with them what she had learned. She subscribed to my emails and free ebook and started on her own journey. 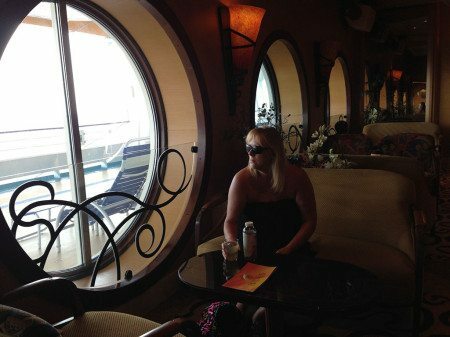 Here’s the deal – going on a cruise made me feel like I had a ten ton gorilla of desire sitting upon my shoulders to help people feel better and change the misconceptions about killing all bacteria, even if it is only a few people. 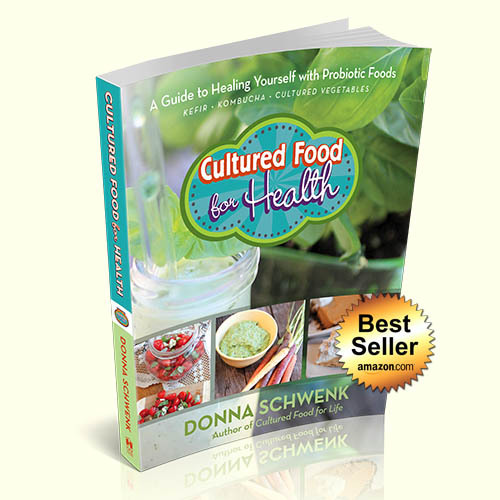 When something as simple as cultured foods loaded with good bacteria changes your life like it has mine, you want to shout it from the rooftops, or across the seas, and I pray I can do this very thing. Taking cultures on a plane can be tricky, but I have a new method that has proven super easy and convenient. My husband suggested I take the kefir powder packages with me, and a jar, and put these in my suitcase. 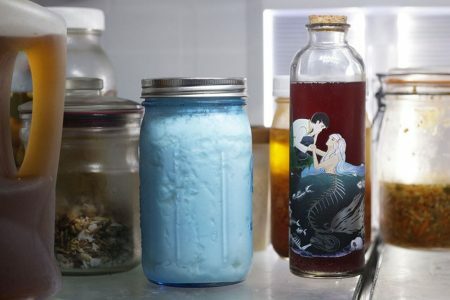 When we got to the ship, I added some milk to the jar (no need to heat the milk it can be cold) and sprinkled in the powder package and in 24 hours I had kefir that I could eat and make more from. Each package will make from 1 quart to many gallons, so it would be plenty of kefir for the length of our trip. You can take a small portion of this and make more kefir by just adding it to more milk and letting it sit for another 24 hours. 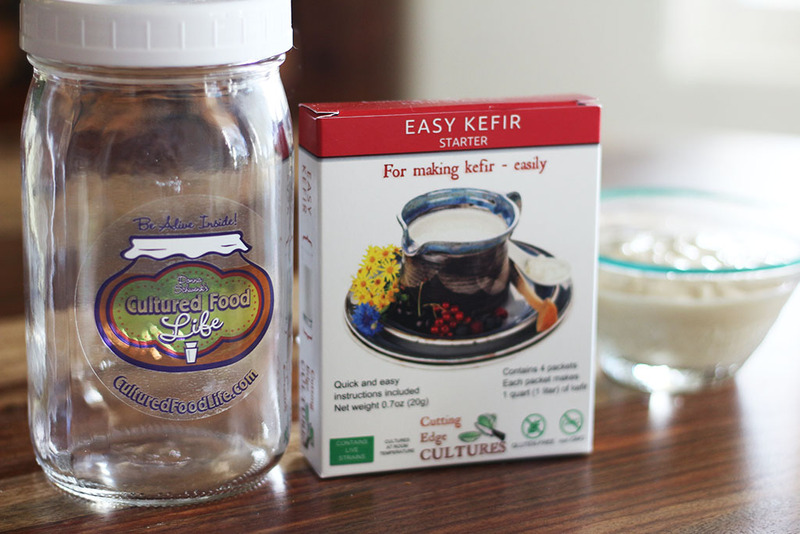 There are no kefir grains to take care of, and this makes it very easy to have as much or as little as you need on any given day. The refrigerator in our cabin wasn’t working very well and didn’t chill my kefir but still the kefir was fine even though it wasn’t kept cold. 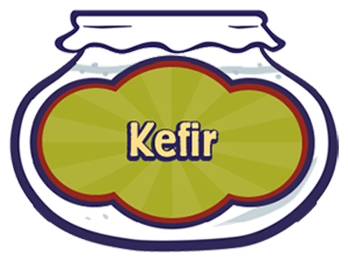 Kefir preserves the milk and makes it safe. I was surprised how good it tasted even though it wasn’t kept very cold. I had kefir in my room and with very little effort on my part. My live kefir grains were at home, kept in a lot of milk in the refrigerator, waiting for my return and this method was just what I needed for my trip. I also took some kombucha, but you can’t really take this on a plane. I was afraid it might explode, so I waited till I arrived in Florida where the ship was docked and some very sweet friends that I had met through my website met us for dinner. They went and bought us some kombucha at a health food store. We put it in a cooler and took it on the ship with us. I didn’t take cultured veggies with me, but this too can be packed in a suitcase in a jar with a plastic bag around it in case it leaks. This would have to go in your suitcase that you check and not your carry on since security might frown at this. Then refrigerate your veggies as soon as you get to where you are going or place them in a cooler. So my sweet friends, can you do me a favor and please start making and eating these sustainable, delicious cultured foods? We must stop the madness of antibiotic resistance that has started to change the world we live in. We have to fight evil with good and this includes good bacteria. You have to begin to build up the stronger strains of good bacteria inside of you and this epidemic of resistant strains of bacteria will slow down and even reverse. I know that I am only one person but with you I am many, and we can make a difference and change this precious world we live in. I want you to be happy, well, and not afraid of disease. I want the world we live in to thrive and not be overrun with resistant strains of bacteria. As I sat on that cruise ship and looked out at the water, I thought maybe I was born for such a time as this and maybe this is why I love it so very much – to help others find the good bacteria that we are mostly made of. You are 100 trillion bacteria and only 1% is harmful. If you will but start on this journey to discover the bacteria that is in you and all around you, your life will change and then so will the lives around you. It has to. We could do it together and we will leave this world a better place. Don’t let your heart be troubled about this, it’s just a wake up call that we need to change, and I will help you – it’s a promise. We are all in this together. 27 Responses to "How to Travel With Kefir and Be a Pioneer"
I found you because I’m about to go on a 2-week vacation and was trying to determine the best way to handle this. I thought I’d need to find a way to store/preserve the kefir while driving but I’m assuming a cooler would do this. 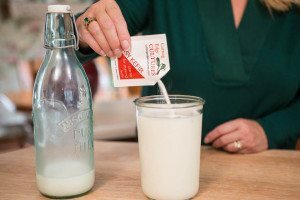 As raw milk isn’t easy to come across, I couldn’t make the kefir while on the road. Thank you for your website. This is new to me. A friend of mine gave me some milk kefir grains to use they are wonderful. My family is making smoothies with the milk kefir and it does make you have energy, especially my oldest son who is diabetic. 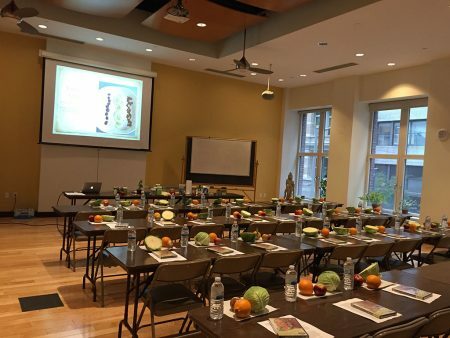 we are very excited to learn more and use it in more recipes. 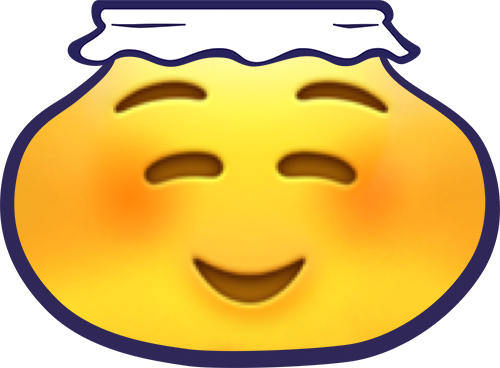 (1) What is the best way to take care of my MK grains and KT scoby while I am gone? (My husband will not be able care for them in my absence). ***When I come home, I want to resume making both. 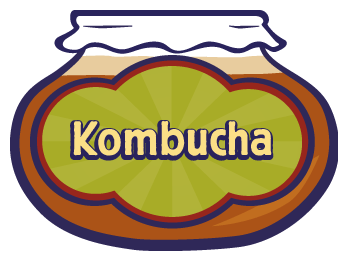 (2) Also, I plan to take dehydrated MK grains with me, but what about a kombucha scoby? Can it be dehydrated and travel to Africa? How would I rehydrate it? (3) OR – Do you know if I can take a bottle (surrounded w/bubble wrap and in a plastic baggie) in my checked baggage? Will it survive the freezing cargo area for 8 or more hours??? Three months is a long time I would give them to someone else to care for them while you are away. 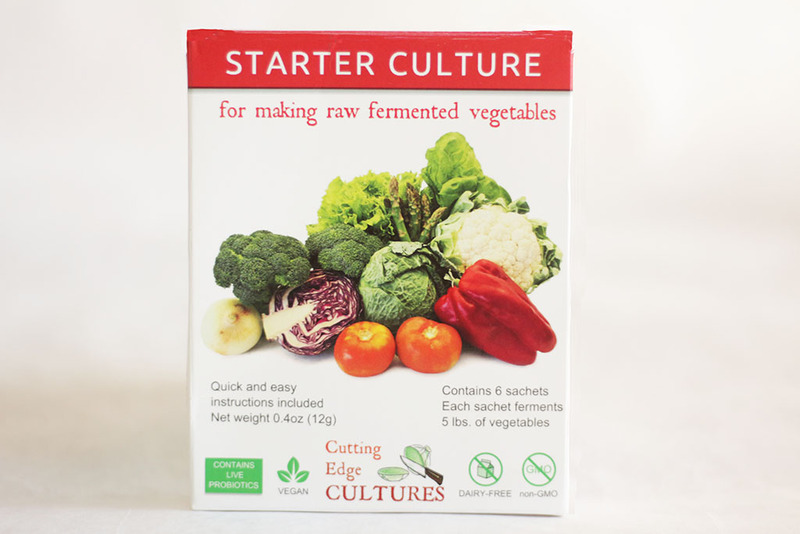 You can dehydrate all of the cultures but they often don’t work as well and I have never done this so I am unsure how to help you. It sound survive but I would but them in a small cooler in your luggage. 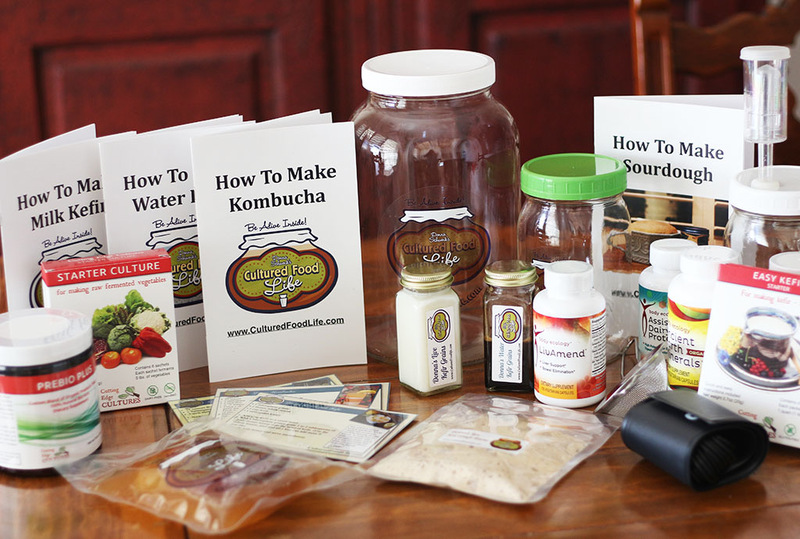 Hello Donna, I’m new to your website but needed to read up on how to make Kombucha. Anyway I also read your article on traveling with Kefir. It so happens that on my last trip to South America, I went on a cruise as well and brought along a couple of tablespoons of my milk kefir grains. What I did was I put it in a ziploc twist tight container (so it wouldn’t leak) and I covered it with milk powder (because I read that it was a way to store the kefir). I also brought along a plastic spoon and my plastic sieve (since it was collapsible). I put it into my luggage and checked it in. The flight was long and it was another day before we got on the ship. We traveled on Celebrity. As soon as we got on board I went to get a glass of their milk and put it into my container with kefir. Since the room was airconditioned, and I didn’t have much grains, I stored the container on top of the little fridge so the milk could culture in a warm place. Well it was a success and my husband and I had a half cup of kefir every day of the cruise. We were in S. America for 3 weeks and we had Kefir almost every day. Also my grains grew! If we checked into a hotel that didn’t have a refrigerator (a few didn’t) we would just store our kefir in room temperature anyway. Storing the milk is a different problem. The thing I would do differently next time is bring a second container to collect the kefir. I would just bring another cup to nest with my ziploc container, as cups weren’t always available in hotels. Milk fortunately is easy to buy in Argentina. Also I might bring extra milk powder next time for the in between transit of the kefir grains. Also maybe the milk powder could help me make more kefir (but I haven’t tried this yet) in case I couldn’t buy fresh milk. Before flying back to the US we ate all our grains because we weren’t sure we could bring it back it, as it’s considered a live product (? ), I don’t know. Hope this helps travelers who want to have kefir. 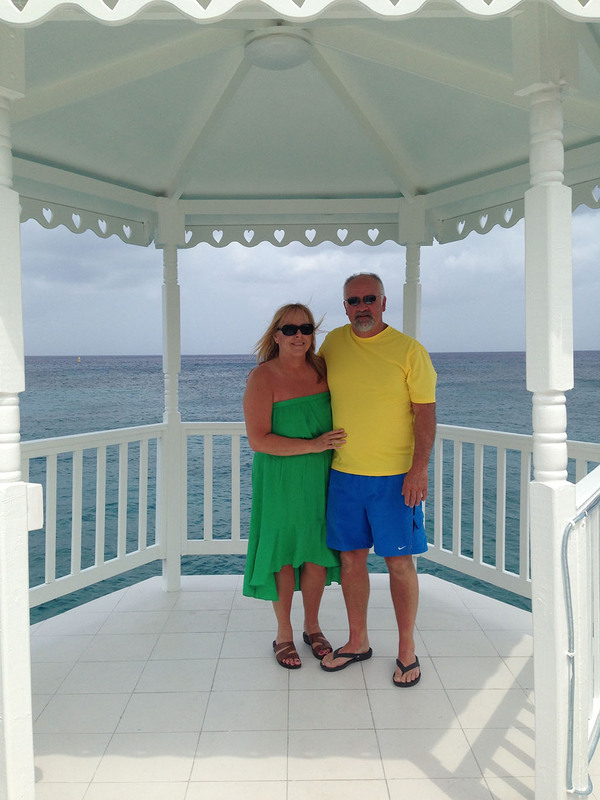 It really wasn’t hard and my husband and I remained healthy throughout our travel. 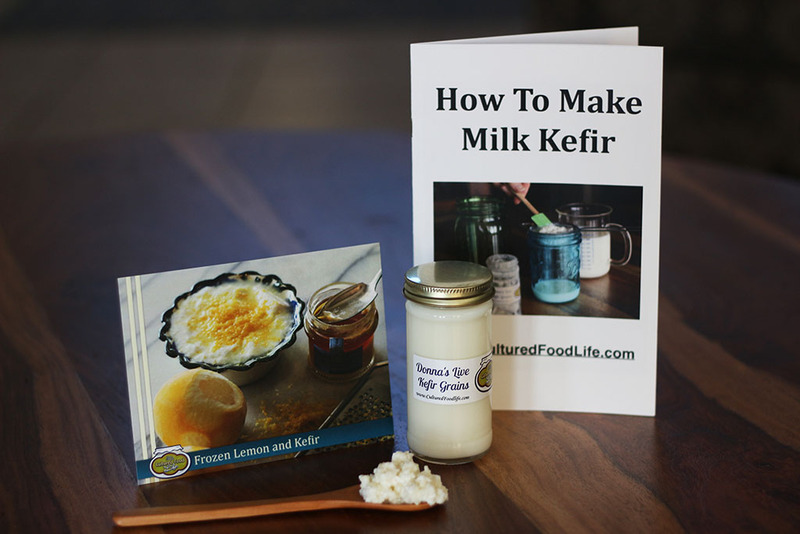 Is it really that easy to make kefir? All you do is sprinkle it in some milk? 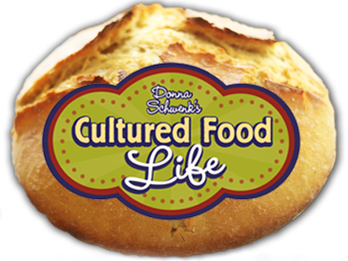 I have been wanting to make cultured food for a while now but I am intimidated by how complex it seems and with working full time and also keeping up with 5 kids I just dont see where I will find the time to cultivate something. This method is the easiest method. Just sprinkle the packet in 3 to 4 cups of milk in a quart jar, put a lid on it and in 24 hours you have kefir. Than refrigerate it till you want to use it. If you want more, take some form this is place in a new jar of milk and let it ferment again. 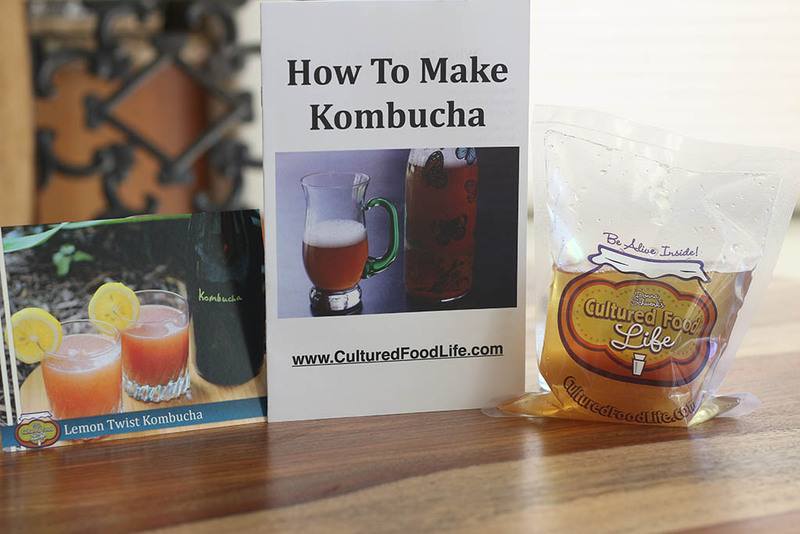 I thought I’d let you know my experience with travelling with a kombucha scoby… My sister in Australia gave me one a few years ago when we were home on holiday. I packed it carefully in my suitcase with a bit of liquid and wrapped it up then flew back to Germany… It arrived ok and I put it in the fridge (this is before I had done much reading on how to look after them properly, I now have a scoby hotel) and forgot about it…. My dear husband then cleaned out the fridge and accidentally threw it into the compost container!! After a bit of freaking out, I took the scoby, washed it off and sat it in sweet black tea for about two weeks. And guess what? it was fine! I now have lots of scobies, all from that original one that was treated so badly. I’m so grateful for all my fermented veg and kefir and kombucha, I can say that they have helped me to be happier and healthier, keep up your wonderful work, you’re helping so many people heal! Sending you lots of grateful hugs! Hi, thanks for the thoughts on traveling with cultures. But I am leaving the country to live in South America, so I need to take the kefir grains, and I see on this post how someone did this. Now for taking the kombucha and scoby and my sour dough starter. How should this be done? Our trip usually takes a little less than 24 hours. Place them in your check bags in jars and bags and they should be fine. Could the kefir powder be used to make coconut kefir on board? I suppose that that is a little more complicated with the addition of the coconut. Or how about almond milk? It would be easy to bring along some of those smaller aseptic cartons of almond milk. Making a non dairy kefir doesn’t work as well with the powder starters. It works the best with live grains. I have made coconut kefir with the powder packages after I made the first batch with regular milk and then used that to make coconut kefir from canned coconut milk. This worked the best but haven’t tried it with almond milk but you might give it a try and see how it does. If I can’t get raw milk while traveling would you still consider it beneficial to drink kefir made with pasteurized milk, or better avoid it till i can find raw milk again? It is very beneficial with even pasteurized milk and this is what I did. Just pack it in a little cooler. Its ok as long as the temps don’t get above 115 degrees. I also know it depends on the cruise line as the one that I’ve used doesn’t allow any beverages to come on board. I see now that the ship you went on is Liberty of the Seas?? This is the same cruise line that I use although not the same ship… hmmm? Well they took it out at custom looked at it and then checked my water bottles and let me through. I have taken it on Holland America too. Thank you Donna for this article. I am waiting to hear about a new job that will require quite a bit of travel, sometimes I will be in one spot for up to 10 days. 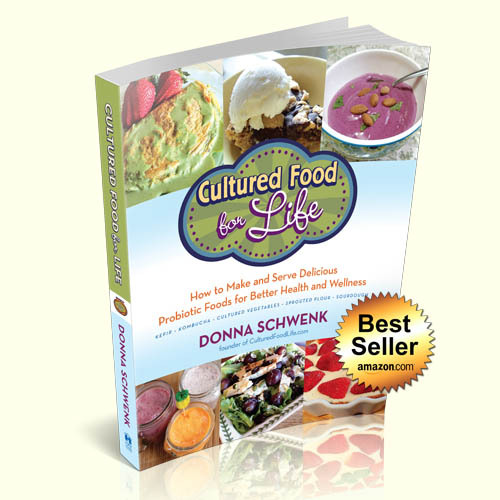 I have been a little worried about how I will maintain my regime of eating my cultured foods and this article gave me some good ideas. Just in time! Thank you!!!!!! 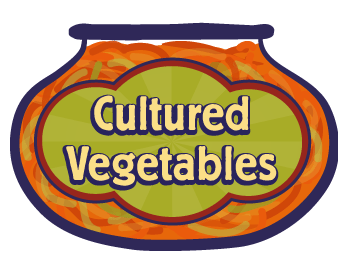 Your website is my favorite one for cultured foods. I use your book and recipes all the time and they are great. I have some Kombucha extract that is used for travel from getkombucha.com. It comes in a 1 oz. glass amber bottle and It’s simple to use like your powdered kefir. Thank you Donna for all you give. For the travel tips, recipes and suggestions and health tips. Our order of Kefir is about the best thing we’ve done this year! Our work takes us from home. Fortunately, now it’s only 5 days or less. We carry a cooler and take our Kefir and milk with us. 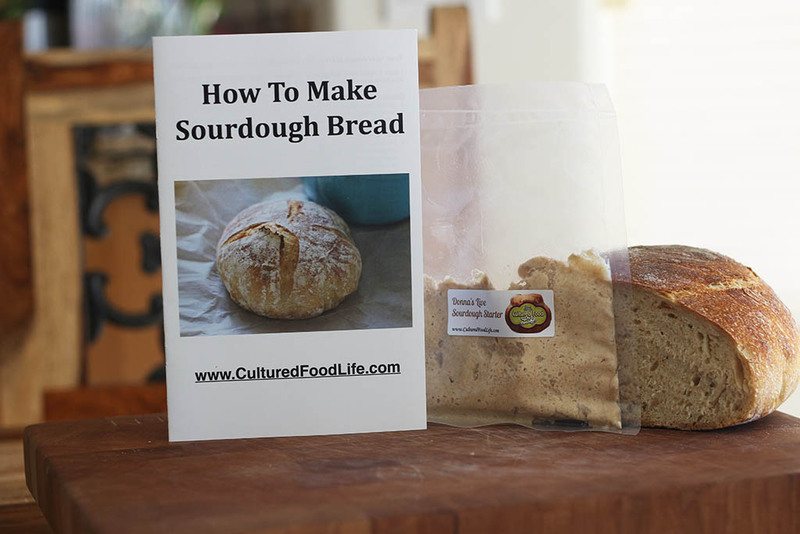 Our sour dough starter and kefir grains are fed and refrigerated while we are gone then its “back to normal” making both. There are 4 in our family now drinking kefir. Remember the domino effect: you’re sharing with us and we are sharing with others and they share with others…….Oh, and Happy Mother’s Day! 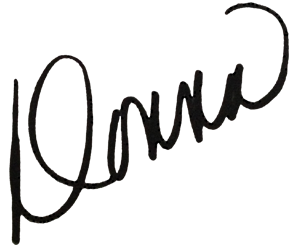 Hi Donna. 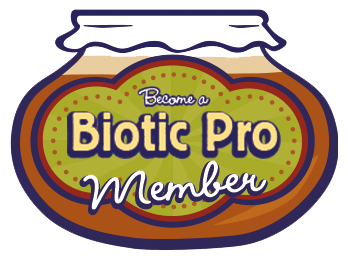 I too would love to spread the word of probiotic foods. I’m nine months into feeling fantastic after being so ill for far too long. Amen to your e-mail message. Congratulations on your 30th wedding anniversary. Love & Light to all. I always travel with a small amount of my kefir grains and leave the rest in my refrigerator. It’s very easy to travel with them … If you’re going by plane take the grains in a 3 oz container with a little bit of milk and in your suitcase take a plastic container and small colander to strain it. You can get milk from the hotels. I’ve traveled with my kefir to Europe, South American and all over North America and never had a problem. Oh, and along the way I’ve given kefir grains to many people who have become kefir lovers. I’ve even strained it in restaurants and asked for some milk. I make a probiotic cleaner with lemon juice and orange juice that is fermented for 6 weeks. It is very concentrated; I add filtered water when I use it. It would be easy to travel with a small amount that would last for a couple of weeks – just add bottled water. 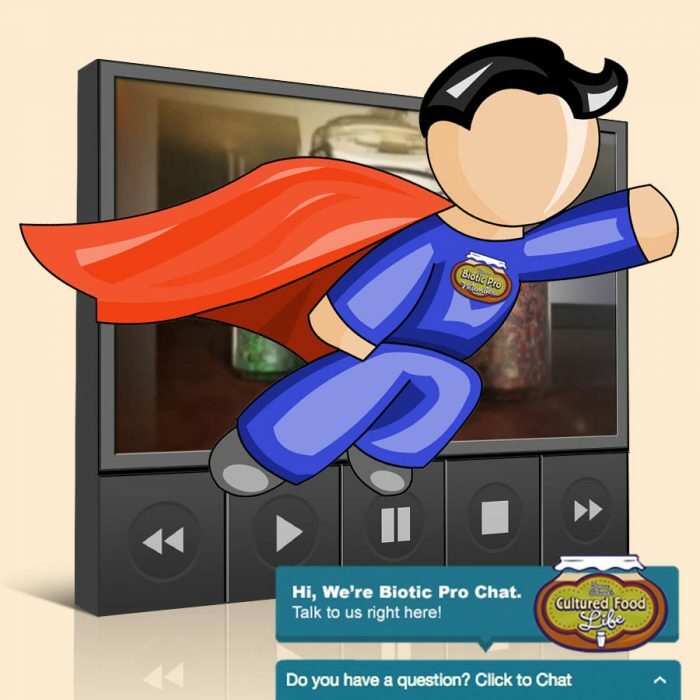 My question: do you know if I would be able to make the probiotic cleaner into a bar of soap, or add it to soap? 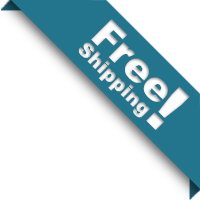 Do you have anything on your website that would make it easy to make a soap. The kefir that I purchased from you is still going strong after several months. I often add kefir milk to homemade granola in the morning for a wonderful cereal. 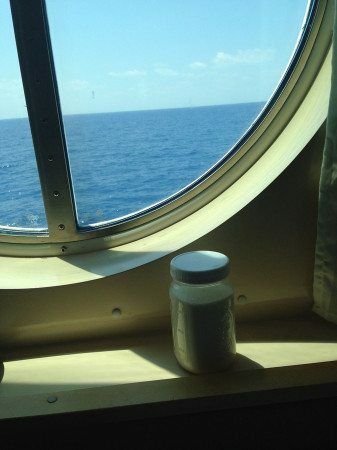 I love the idea of the kefir powder however I’m very surprised you were able to bring bottles of kombucha on board, we went on a cruise last yr, I bought 3 bottles before hand to have for the cruise and they made me throw them away before boarding, security issues just like an airplane.